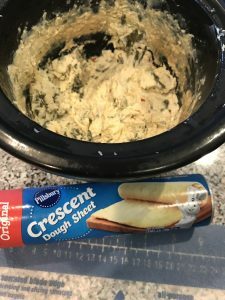 One of my favorite things about making spinach and artichoke dip is the leftover dip! 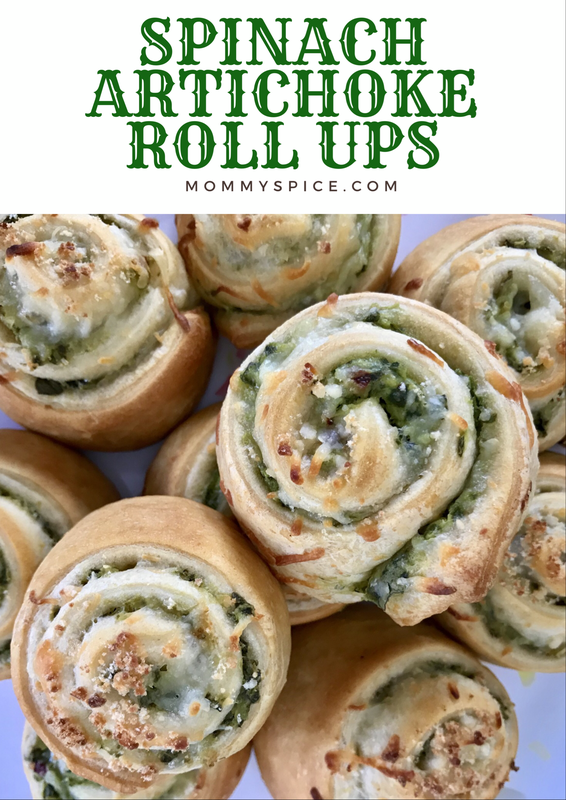 I turn it into these super yummy, freezer friendly roll ups. 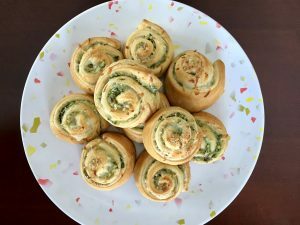 Perfect for a snack or appetizer for your next get together. Preheat your oven to 350 degrees and line a medium baking sheet with parchment paper. 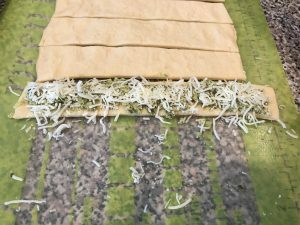 Next, unroll your crescent dough sheet on top of a large cutting board and cut into 10 even strips horizontally. 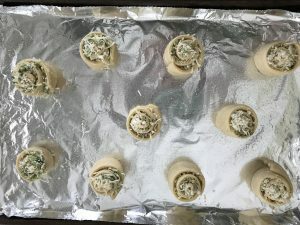 On each dough strip spread 1 tablespoon leftover spinach and artichoke dip evenly, then sprinkle with 1 tablespoon of shredded mozzarella cheese. 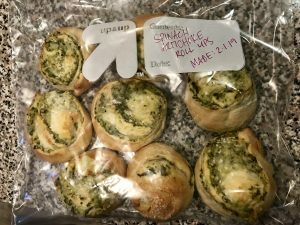 Gently roll from one end to the other, making a pinwheel shape. Place upright on your baking sheet. 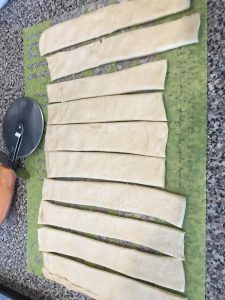 Repeat method with the next 9 dough strips. 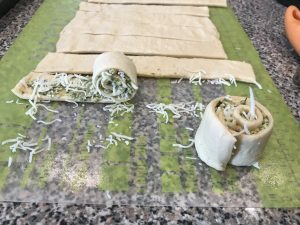 Next, sprinkle parmesan cheese on top of all 10 roll ups and place into the oven to cook. Bake 350 degrees for 17-20 minutes. Enjoy warm, or flash freeze in the freezer by placing baking sheet directly in the freezer. 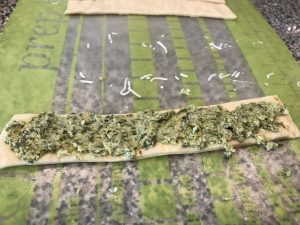 Once frozen, place into a freezer safe bag for up to 3 months. Reheat in the oven at 350 degrees for 10-12 minutes or until warmed through. You can see I made these on greased foil, and mine stuck a good bit so I strongly recommend using parchment paper. 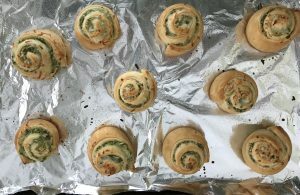 Now if you like, feel free to serve these with a dipping sauce, pizza or marinara sauce will work, as well as a ranch or taziki. Whatever you prefer, or no sauce at all as these are creamy and flavorful enough on their own.